Dr. Bart Anderson is a 1991 graduate of Logan College of Chiropractic in St. Louis, Missouri. He opened Anderson Chiropractic soon after in Terre Haute, Indiana. As the years progressed, he developed that practice into a multi-doctor, then a multi-office network of clinics in Indiana. In 2006, he sold his main clinic and turned his full focus to consulting other chiropractors in launching their own practice and careers. In 2010, Dr. Anderson began work with the largest franchise in chiropractic which had nearly 400 franchises. He and his business partner directed the practice start-up program. In all, his team helped launch well over 120 clinics and served as “Regional Developers” for the franchise in the states of Indiana, Illinois, Missouri, Ohio and Kentucky coaching dozens of the franchisees. This work continued until 2015. In late 2013, Dr. Bart had a unique opportunity to return to the original practice he founded and work to rejuvenate it back to the way it was when he sold it years before. It was during that time back in practice that he got highly tuned into the burden that being overweight and/or obese was having on his patients and community. After much study and training he started The Activate Metabolics Center of Terre Haute (LFLC). This weight loss program uses a combination of DNA based strategic eating, technology, high accountability and doctor over-sight to successfully assist people with weight loss and maintenance. 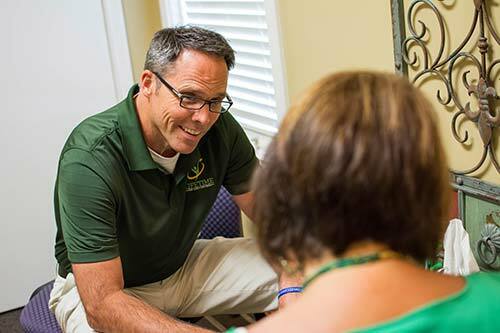 These days part Dr. Bart’s career focus is individualized coaching of a select number of Chiropractors and other small business owners. The primary focus, however is the clinical oversight of Activate Metabolicsand the development of Activate Metabolics, Inc., a management service organization of weight loss clinics. He has been married to his wife, Leanne, for over 25 years. They have three children (ages 15, 17, and 19) who are all very active in sports and school. Besides family and business, he is active in cycling, boating and hunting. In addition, Dr. Bart spends significant time learning, sharing and coaching the principles of attitude, motivation and personal/business success. He has instructed and inspired thousands through his speaking. Audiences have consisted of civic groups, businesses, athletic teams, prisons and, of course, chiropractic students, doctors and staff. Besides chiropractors, coaching clients have included medical doctors, realtors, pastors, insurance sales persons, financial advisors and franchisees in numerous fields. Leanne (Miller) Anderson grew up in Terre Haute. She graduated from T.H. South then went on to graduate from Butler University in Indianapolis, IN. When her husband, Dr. Bart Anderson, started his practice in 1992 she was the office manager and played a critical role in the early success that clinic had. In 1997 Leanne became a “stay at home Mom” when their first child was born. Although she always remained active in the growth and book-keeping of the Dr. Bart’s businesses. 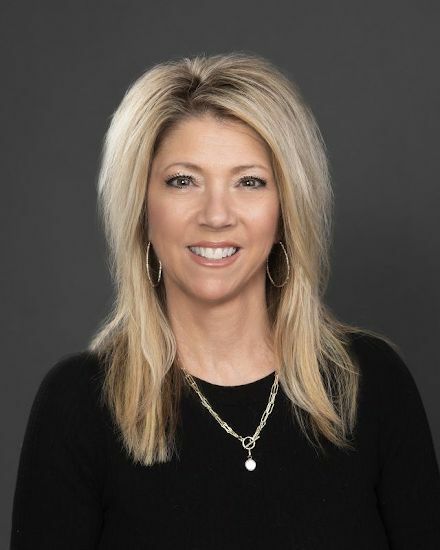 In 2013, she returned to Anderson Chiropractic and then when Activate Metabolics of Terre Haute was launched in 2015, Leanne again played a key role in the start-up and management areas. Most importantly, her training and experience enables her to over-see the implementation and clinical support of The Activate Metabolics Program. Among other things, this consists of daily communication and regular visits for all clients in order to provide an ultra-effective support and accountability system. Leanne is passionate about helping people reach their ideal, healthy weight so that they may be able to live life at their full potential. Her sweetness, enthusiasm and knowledge will provide you that missing piece of coaching and support you may have been missing in other weight loss programs.